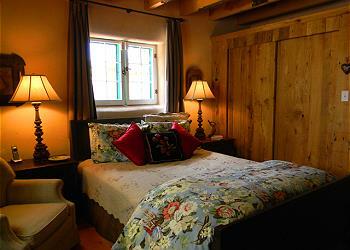 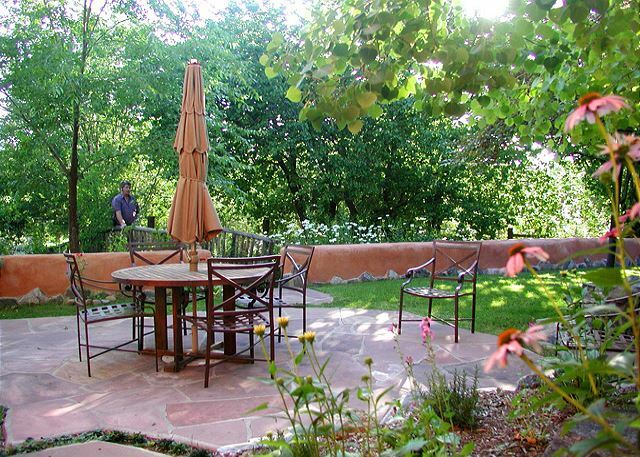 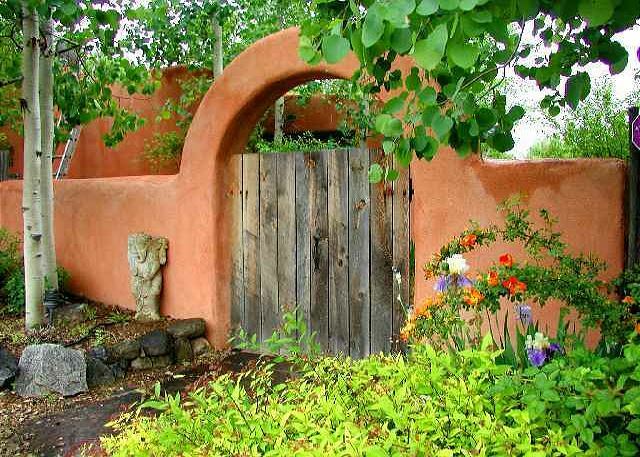 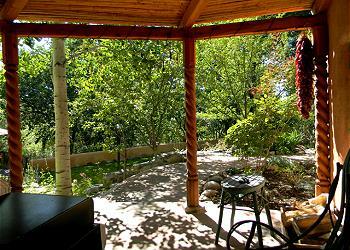 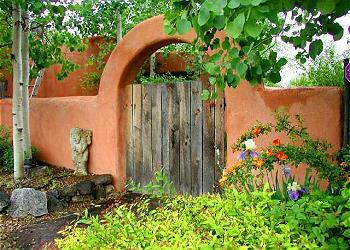 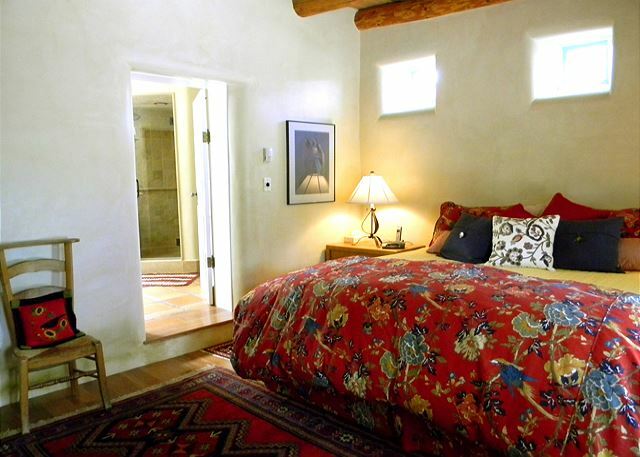 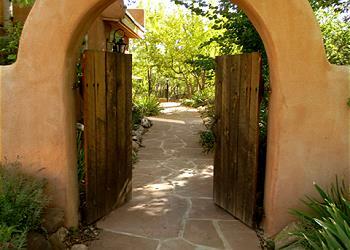 Celia - A beautiful, historic adobe home set in a lovely garden perfect for a secluded Taos getaway. 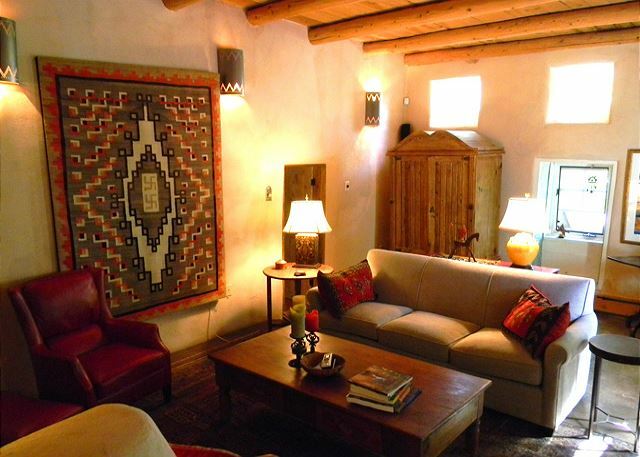 The home exudes New Mexico charm with its thick adobe walls, beamed viga ceilings and a kiva fireplace. 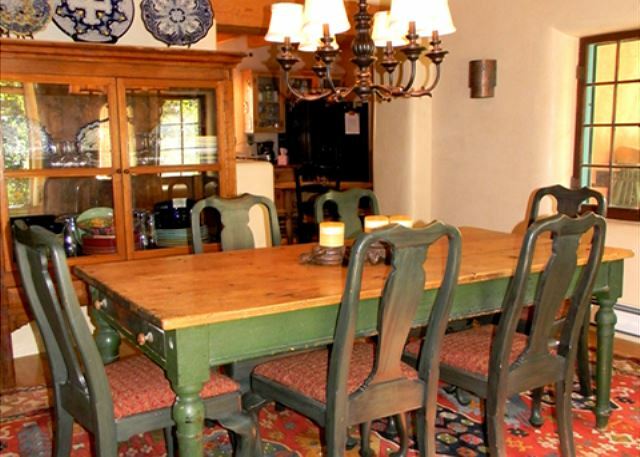 A fully stocked kitchen with a charming dining room and outdoor dining area make entertaining easy any time of year. 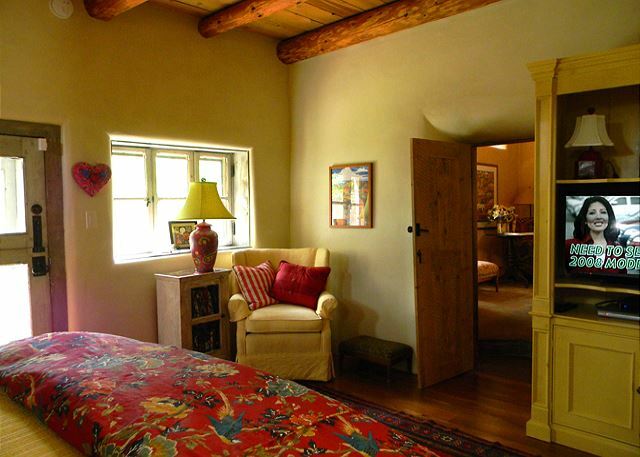 Two very separate master bedroom suites (one king; one queen) make this home an ideal choice for two couples. 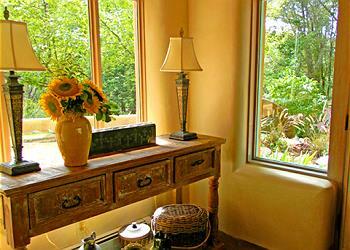 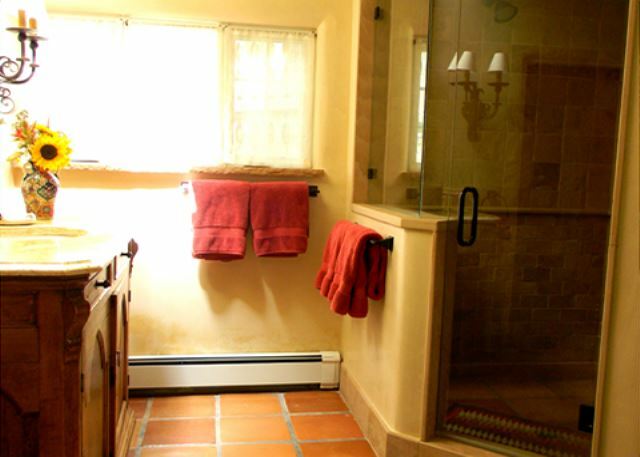 Each suite has 2 beautifully remodeled bathrooms featuring New Mexican travertine and sandstone. 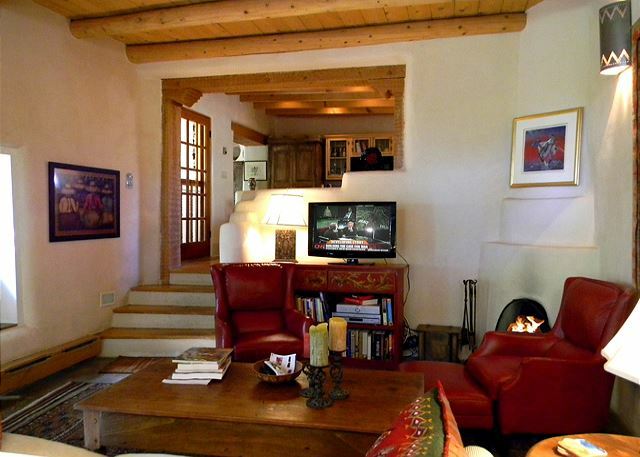 Completely updated, the home is beautifully furnished and very comfortable. 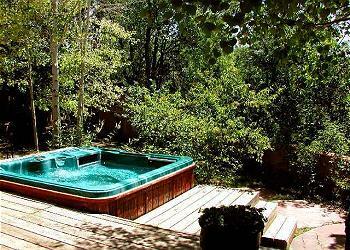 The park-like setting provides a quiet oasis with lovely gardens; a beautifully terraced yard and patio with old growth aspens and fruit trees, and a secluded hot tub making this the perfect setting to unwind after touring galleries, or enjoying a vigorous day of hiking or skiing. 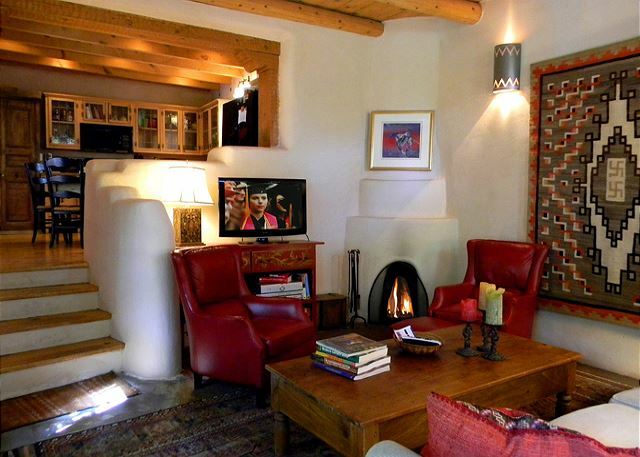 An easy 10 minute walk to the central downtown Taos Plaza or to El Monte Sagrado, this home is located in a great residential neighborhood, on a quiet lane just off Kit Carson Road making it one of the most popular Taos vacation rentals in Premiere Properties’ offerings.